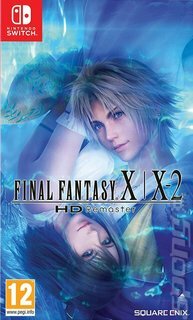 As the name suggests, Final Fantasy X/X-2 HD Remaster brings FFX and its sequel into the modern day with a slick gloss of HD polish! 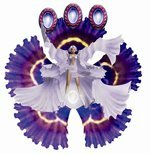 So, what's FFX all about? In a nutshell, the world of Spira is under constant attack by a spiritual bad dude known as Sin. 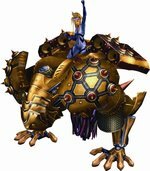 A star player of Spira s soccer equivalent, Blitzball, Tidus soon meets with Yuna and finds himself to be a crucial cog in the wheels of fate in his fight against evil. Although the story is often the driving force with role-playing games, there s no denying that Final Fantasy X s addictive quality lies in the heart of the battle system. Known to implement a new and complex levelling up system for each game, Square developed something unique for this production, and it s called the Sphere Grid. It is a known fact that random battles are a large component of role-playing gameplay, particularly in Square games, and Final Fantasy X is no different. You will face many challenges in battle, including hundreds of both new and familiar fiends, as well as some formidable bosses. It must be stressed though, that Final Fantasy X is much more difficult than its predecessors in this respect. Gone are the days when you could hack n slash your way through battles as a high level swordsman. The enemy now fights intelligently, and you must do the same. The bosses in particular show themselves to be especially devious and require the player to use very specific abilities to defend attacks successfully. Quite often, the difference between victory and failure in battle can be a simple Haste or Protect spell. Following that is X-2. Taking place two years after Yuna's fateful journey to defeat Sin in Final Fantasy X, the once chaotic world of Spira has gone through a massive transformation, entering a period of "Eternal Calm". But High Summoner Yuna is left feeling empty after her first love, Tidus, died. But when she discovers a sphere offering footage of her supposedly deceased prince charming, her beliefs are thrown into doubt, and so she embarks on her second adventure with companions Rikku and the newly introduced Paine, to seek the truth. Now, there are two crucial differences in X-2 that set it apart from its predecessor - a mission-based storyline and the battle system. The main game itself is spread across some 15 missions. These missions can be triggered at any time by travelling to locations on the world map that are flagged as Hot Spots. In addition, there's a shed-load of mini-games to enjoy - perhaps more than in any other Final Fantasy game so far, and this helps to prolong to the overall adventure. It is said that X-2 can be finished in around 40 hours by experienced players, but those looking to tear apart every aspect of the game can expect to spend some 100+ hours in front of their TVs. Then, of course, there's the battle system. This time out we have the Dressphere and Garment Grid. Here, players are able to choose from an array of trademark Final Fantasy jobs including Black Mage, White Mage, Gunner and Thief, which they can then assign to each character in order to form the best strategies for the coming battles. Each job comes with a range of unique abilities, placed on a special Garment Grid, which can be mastered by making a preset number of kills in battle. It's quite different from the Sphere Grid of FFX, and gives ardent fans of the series something new to sink their teeth into. It's been 10 years since even X-2 got a release over here, so this HD edition opens the world of Spira to a whole new generation.